No one ever read to me until was in the Third Grade. Since I taught myself to read well before kindergarten, my parents thought reading to me was a waste of their time. I’m sure they thought they were strengthening my skills. Apparently that was a popular philosophy in early childhood education at the time. I do not remember a single teacher in grades K-2 having a “story time.” However the students were encouraged to read their favorite books to the class, which could be pretty excruciating. I dislike Winnie the Pooh to this day because of Margaret in second grade who read ALL the Winnie books to us. Badly. I know there were other books that year, to “settle our stomachs after lunch,” but the one I remember best was A Dog on Barkham Street by Mary Stolz. There were an awful lot of nine-year-old boys who suddenly had “something in my eye” during the last pages. I was thrilled to learn on my next library trip there was a companion novel, The Bully of Barkham Street; the same story told from the POV of the first book’s antagonist. That was the first time that the saying “there are two sides to every story” made sense to me. Fifth grade we moved to Mississippi. Miss Parnell seemed to be at least a hundred years old, and taught in the same school her entire career. She most definitely believed in LONG reading breaks after lunch. I had to listen closely to decipher her thicker-than-sorghum accent. I’d check out whatever book she was currently reading at the public library so I could follow along. (A true Mississippi accent has a way of turning one-syllable words into three or four syllables.) I wasn’t terribly enamored with her book choices, which I suspect had never changed the whole time she taught. However, Miss Parnell had a writer friend name Miss Welty who had lived on her street for years and years. Miss Welty gave Miss Parnell a copy of her new (and only children’s book) The Shoe Bird. I often nodded off in those warm afternoons in my un-air-conditioned classroom. As for Miss Welty’s book, I couldn’t make head nor tail of it. It was about a parrot who lived in a shoe store, and somehow birds from all over showed up for a free pair of shoes. Even then I wasn’t a fan of “talking critter” books. What are my own favorite read-alouds? 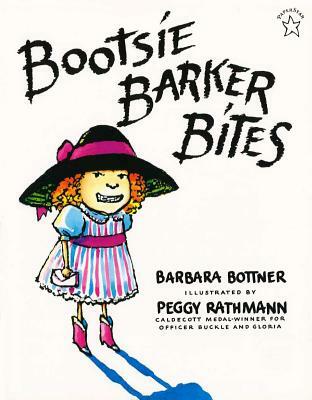 For the picture book crowd, my go-to is Bootsie Barker Bites by Barbara Bottner (say THAT fast three times!) The old drama major in me tends to act stories, rather than simply read them. This is a two character story, the bratty bully Bootsie who terrorizes the nameless main character. The two girls are forever having “forced play dates” because their mothers are friends. I have a different voice for each girl. I love doing Bootsie, who sometimes pretends she has brought her pet dinosaur, Charlene with her. Of course, Charlene threatens to eat our main character. Love doing Charlene’s roar! 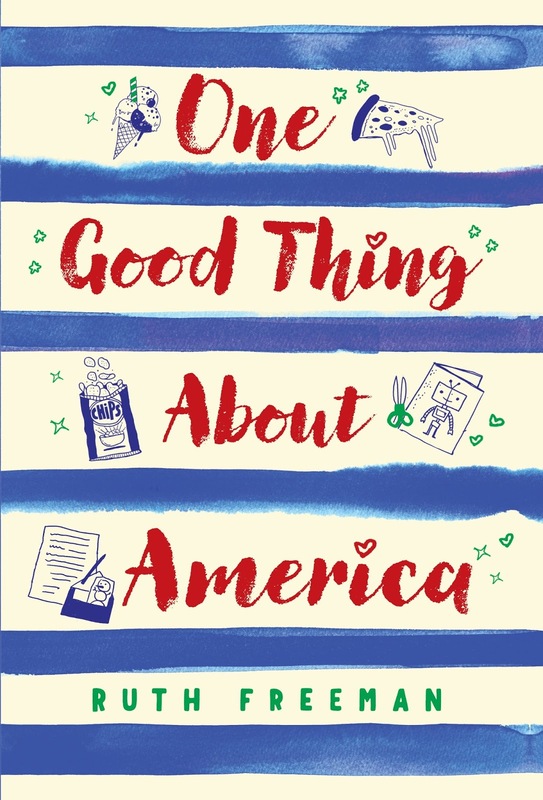 For the elementary ages, the age at which I most appreciated being read to, I like One Good Thing About America by Ruth Freeman. It’s an immigrant tale, told through the letters a little girl, Anais, writes to her grandmother who still lives in her village in an unnamed French-speaking African country. I can just hear Anais’ voice trying to explain the strange and sometimes troubling aspects of her new home in Boston. 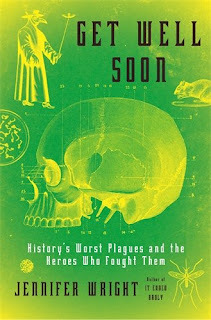 And for the middle-schoolers, for whom a book can never be too gross or disgusting, I would share Get Well Soon: History’s Worst Plagues and the Heroes Who Fought Them by Jennifer Wright. 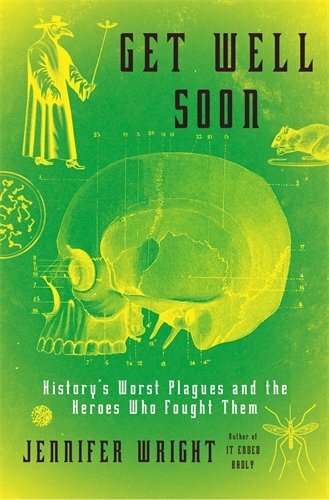 The title of this non-fiction pretty well sums up the book except for one thing; it’s funny! Wright knows she’s treading in some dangerous territory. She takes the “Euww Factor” way down with her tongue-in-cheek descriptions of ancient remedies and “scientific” thought. I’ve had the flu for two weeks, and this was the only thing that made me laugh. Well, there you have it folks . . . my personal history of reading aloud. Bon appétit! P.S. 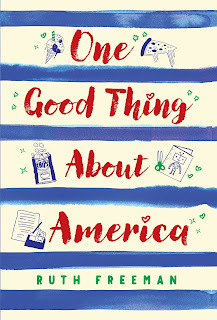 from Carmela: If you like judging a book by its cover, I invite you to vote in the Houston Bay Area RWA Judge A Book By Its Cover (JABBIC) Readers' Choice contest. 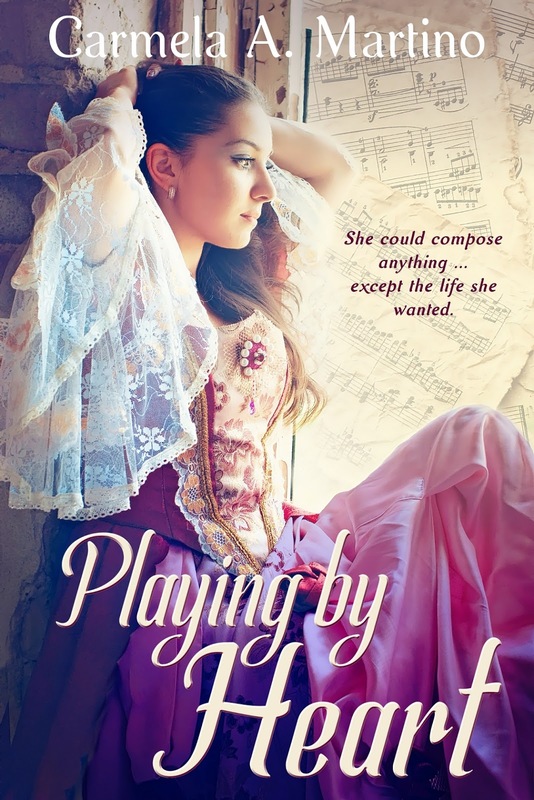 You'll find the cover of my historical romance Playing by Heart in the Young Adult Category. I grew up in Jackson and was privileged to meet and interview Miss Welty for a project in high school. She was tall and intimidating, but kind, a person I will never forget. I read aloud to my students every day. They love it so much that they never let me forget when it's time for read aloud. Margaret--sorry to be so late in responding to your comment but I was sans computer for a month. A prophet is without honor in their own country. Jackson took Miss Eudora for granted or looked at her askance (she was a well-known "liberal") until she won the National Book Award in the early 70's. Folks were "just amazed" that everyone (outside of Mississippi) had heard of her. What a wonderful experience you had, to be able to interview her. So envious! And it's so good to hear from another Jacksonian, past or present.